Dr. Carl Eberl—composer, conductor, viola/violinist and teacher—died March 21, 2012. Carl's life was music and the people he loved. Born in Reading, Pa., on Feb. 3, 1925, to Joseph and Anna Eberl, he began playing the violin at the age of 9. In 1941, inspired by Glenn Miller and the 1941 movie "Sun Valley Serenade," the 16-year-old concertmaster of the Reading High School Orchestra began the path that would lead to his founding the Sun Valley Summer Symphony in Idaho in 1985. Now the largest free-admission symphony in the Intermountain West, the 100-piece orchestra celebrated its 25 anniversary in 2009 with the performance of Dr. Eberl's Viola Concerto, and his arrangement of "It Happened in Sun Valley" from the film that inspired him 68 years prior. He was designated conductor laureate of this festival and was selected Citizen of the Year in 1994 by the Sun Valley-Ketchum Chamber of Commerce. His path included 27 years in New York City, from 1953 to 1980, as professor emeritus of Queens College of the City University of New York, where he directed the Queens College Orchestra and the Queens Choral Society in ground-breaking repertory that included Boito's "Mephistophele," Prokoviev's "Alexander Nevsky," Puccini's "Turandot" and Brahms' "Rinaldo." He conducted Vaughan Williams' "Dona Nobis Pacem" on the evening of the Kent State shootings of students, and the piece was dedicated to their memories. Two of his conducting students at that concert, David Stahl and Joann Falletta, went on to distinguished conducting careers, and have often acknowledged his influence in the lives. During his New York years, he was violist with the Beaux Arts String Quartet, participating in the landmark classical/jazz fusion recording "The Third Stream" with John Lewis and the Modern Jazz Quartet, with the music of Gunther Schuller in 1959. Whether Carl was touring with Frank Sinatra or Leonard Bernstein, his love of music covered all genres. He particularly enjoyed The Beatles, and wrote many arrangements of their songs for viola and cello, which he played with his wife, Julianne. He received his Ph.D. in composition from the Eastman School of Music, and at the invitation of his conducting mentor, Dr. Paul White, then conductor of the Lake Placid Sinfonietta, Carl came to the Adirondacks in 1960; he spent many of the happiest years of his life there. He was principal viola of the Sinfonietta until 1972, when Dr. White appointed him as his successor to the then 70-year old orchestra. He directed it from 1972 to 1984. During that tenure, and through the generosity of his friend Beth Master, with Saranac Lake architect Arthur Wareham, he oversaw the building of the Village Park Shell in Lake Placid, where he instituted the free open-air concerts on Mirror Lake that continue to this day. The shell was dedicated to and named for his mentor, Dr. White, and it became one of the sites for the 1980 Winter Olympics' awards ceremonies. The Sinfonietta's historic home at the Lake Placid Club would change with the club's going into foreclosure in the late 1970s; in that transition, he saved the priceless 100-year-old Sinfonietta library, significantly added to it, and brought it to the Center for Music and Art, where it is conserved and maintained. He began collaborations with the Lake George Opera and the Gregg Smith Singers, recording Victor Herbert's operettas "The Red Mill" and "Sweethearts." He also found time to play tennis, swim Mirror Lake daily, bicycle and hike through the Adirondacks, ski Whiteface Mountain and be "Uncle Carl" to his dear friends and families there, particularly the Wilson family. 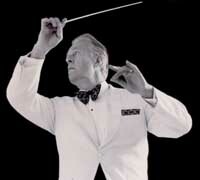 In 1980 he became the conductor and music director of the Idaho Falls Symphony. While there he began collaborations with the Idaho Falls Opera Theatre, the music faculty at Idaho State University and Ricks College, the Boise Opera and the American Festival Ballet. Concerts included guest appearances by Burl Ives, Doc Severinsen, Nadja Salerno-Sonnenberg, Sharon Isbin, James Vandermark and many others. During his tenure he received funding from the Community Foundation to build the outdoor shell in Freeman Park, actually digging the foundation for the structure with pickaxes and shovels with volunteers from the community. Through the efforts of his dear friend Dr. Debu Majumdar and the Idaho Falls Cultural Council, the Idaho Falls Symphony received a grant for the purchase of a new Steinway piano and upgrades for the Civic Auditorium, and Carl conducted area pianists as soloists in that dedication. During this creative time, he made lifelong friends who participated in the founding of the Sun Valley Summer Symphony—Jerry and Rickie Brady, and Marian Brady, Timothy and Anne Hopkins, and Carol and Bill Evans. In 1989, he was diagnosed with Parkinson's disease. He and Julianne moved from San Francisco to Portland, Maine, in 1996 to be closer to family and friends. His last composition was a commission by the Longfellow Sonnet Society, "Casting the Nets," with music set to Thomas Carper's poetry. It premiered at the Bowdoin College Chapel by Julianne's orchestra students in the Deering-Portland High School Orchestra on April 30, 2005. He was the subject of the Portland-based Salt Institute for Documentary Studies in 2009, in the piece for radio, "Fortissimo," by Erin Calabria, at www.prx.org. He has coached Julianne's students in the Portland public schools for the past 10 years, preparing them for auditions, scholarship applications and performances. He also enjoyed playing jazz violin with Bobby Laine at the Bridgeway and playing "I Wish I Were Single Again" at the Sawyers' annual White Star Cabin Party in South Portland. Since February 2007, he was a resident of The Cedars, and was beloved by all. They were so much a part of his life, and all who could visited their maestro to say goodbye on his last day of life. Special thanks to Kim McGowan, who was with him and Julianne when he died, and to nurses Katie Earley and Anne Scollins and the Hospice team who also were with him. He was given a Lifetime Achievement Award by the Cedars in 2010, his most cherished award. He leaves behind his beloved wife of 35 years, Julianne; his sister, Louise McCutcheon of Warwick, N.Y.; nieces and nephews Nancy Warner, Susan Irwin and Brian Engelhardt; seven brothers and sisters-in-law; 12 nieces and nephews, 12 grandnieces and grandnephews, and three great-grand nephews and nieces, as well as many friends and colleagues around the country. He was predeceased by his parents, Joseph and Anna Eberl; his sister, Elizabeth Engelhardt; and his niece, Julia Engelhardt McAfee. Arrangements are by Hobbs Funeral Home in South Portland, Maine. A memorial service at The Cedars will be held at a later date. Funeral mass at St. Agnes Catholic Church and burial will take place in Lake Placid at a later date. Dr. Eberl will also be honored at events, to be announced, at Queens College and in Sun Valley, Idaho. In lieu of flowers, please send donations in memory of Carl Eberl to The Cedars, 630 Ocean Ave., Portland, Maine 04103.